It's time to do solos. Students will say it once together and then we go around the circle and each students performs the poem. This does take some time to do. I don't always have every student perform, but I need students to know that they all need to know how to do it. This way in the future they will all put forth the effort to learn the song because they never know when they will be asked to do a solo. 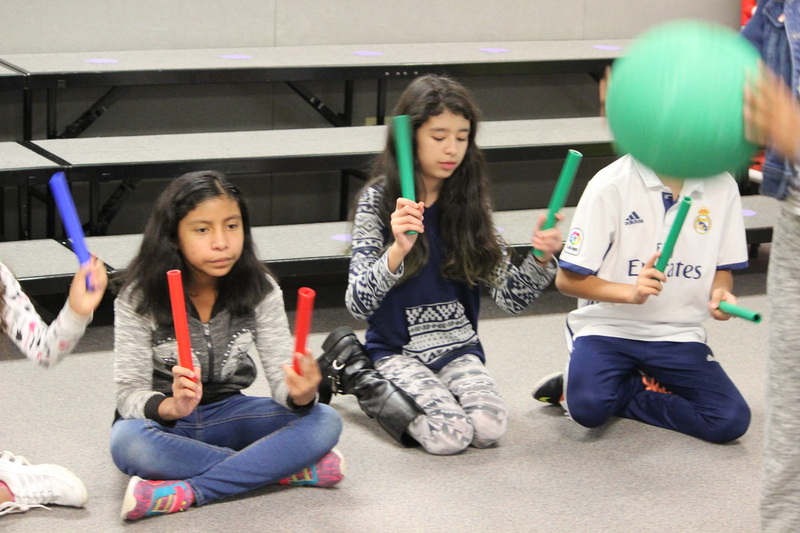 I never force a student to do it, but most of them want to do it especially after they see a few students doing it. I do help those that need it or want it. 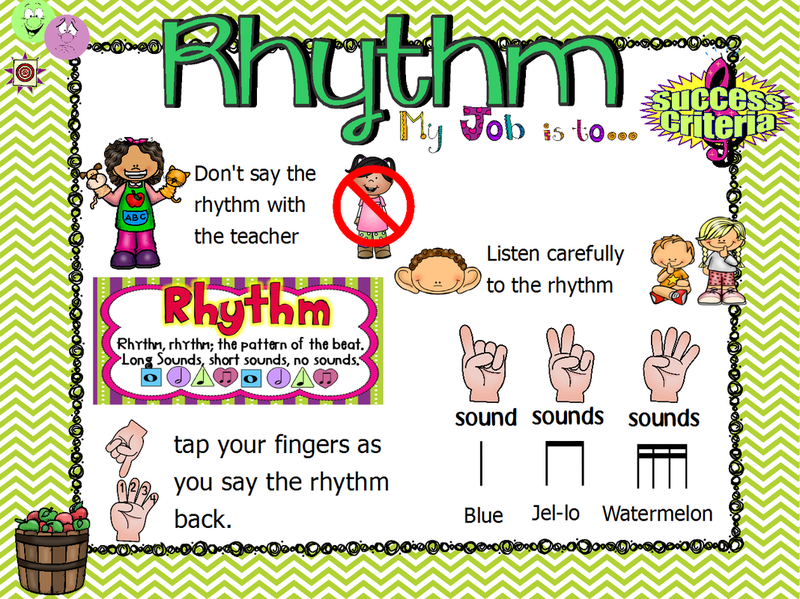 I usually just do the motions for them or have the class do the motions to while the student says the poem. I will not always have everyone do solos. In the future I will only have a few do it each lesson. I am having them do the Chicken on the Fence Post activity again because they really liked it. We quickly review the target. 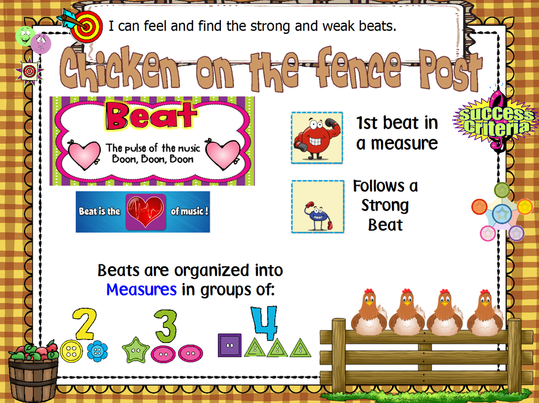 We reviewed the Beat Bounce IWB activity from lesson 6. 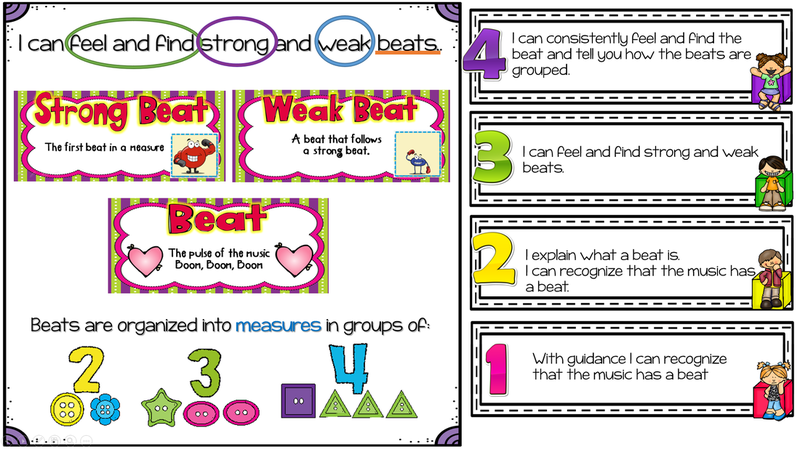 This time I want students to self assess themselves. This is another goal I want to work. 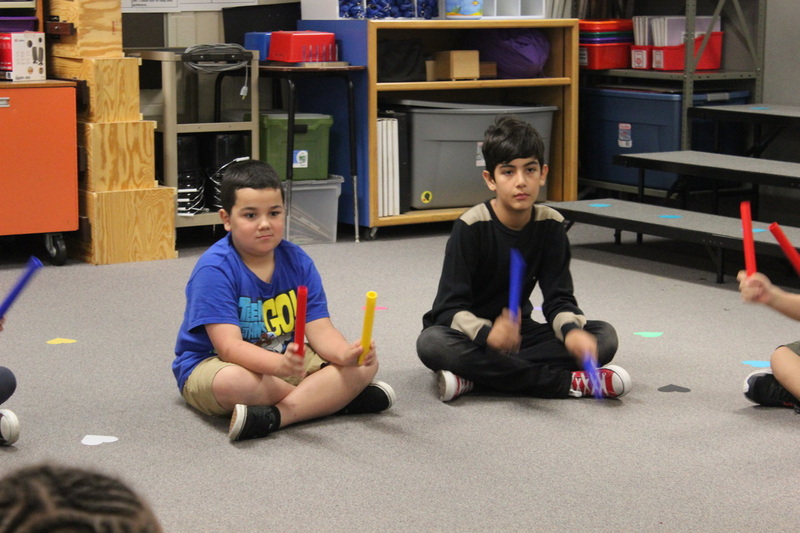 I want students to be able to explain what they are learning and how do they know they have learned it. Before we begin the activity I review the learning target and unpack it. Then I introduce Marzano's level of understanding. I go over what is a 1, what does a 2 look like, what does a 3 look like, and what is a 4. I explained that it's okay to be a 1 or even a 2. Most of them will be a 3. I also told them that it's not easy to be a 4. A 4 is a person that consistently gets it right and can give details on how they got their answers. 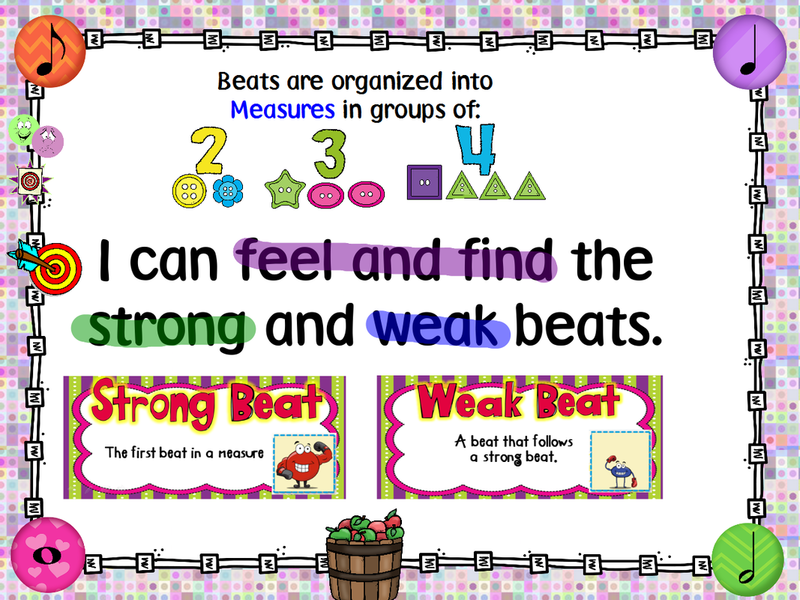 I made new Beat Bounce record sheets. 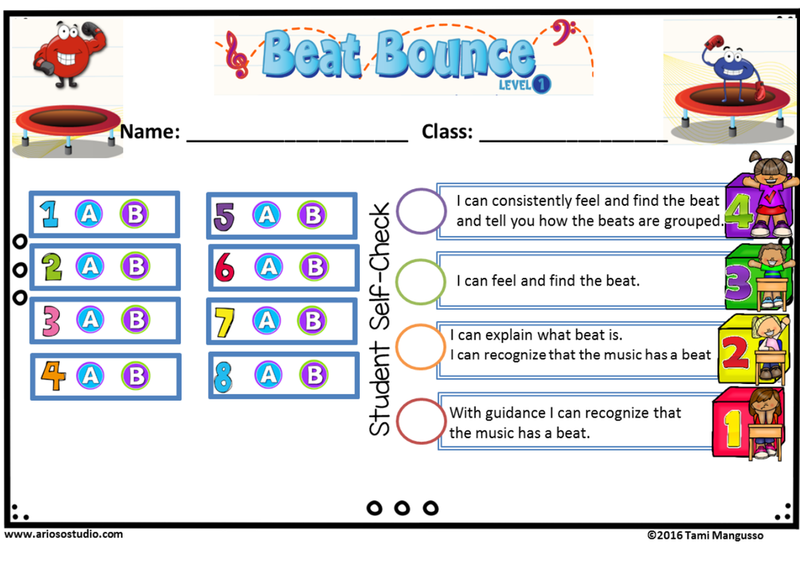 After we were done with the Beat Bounce activity, students bubbled in whether they are at a 1-4. Then I took a picture of their work.